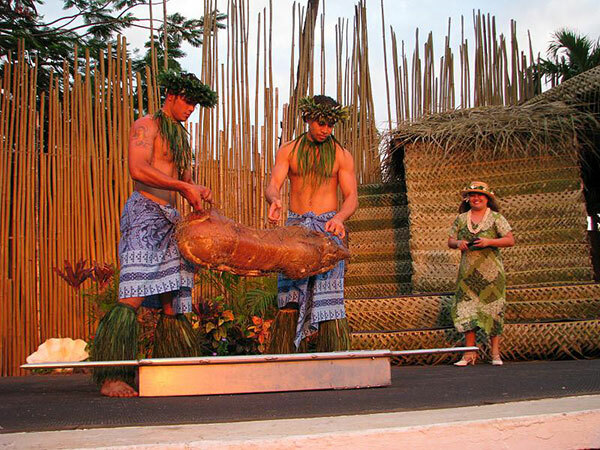 This is as close as you’ll get to an authentic luau in Maui. 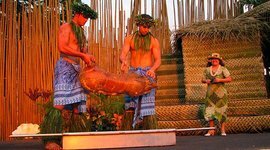 The Old Lahaina Luau is one of the few that’s not put on by a resort. It’s set in downtown Lahaina right in front of the ocean and near all the great shops and art galleries of Maui’s historic capital. Service here is exceptional and the seating is amphitheater style, so everyone has a great view of the stage. Guests have personal tables for their party and the front row features traditional pillow seating. The crowd is mostly adults, but the performance is still very kid-friendly. 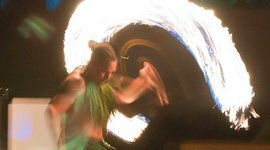 Since the production tries to be authentic as possible, it doesn’t include fire knife dancing, which isn’t native to Hawaii. 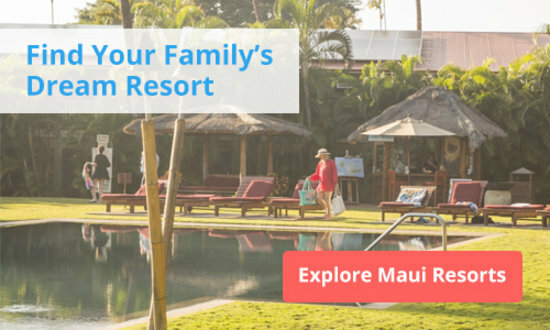 Though the Royal Lahaina Luau may not be the fanciest Maui Luau, it’s super kid-friendly and one of the least expensive. Adult tickets are $98 and kids tickets are $40. The food here is decent and they have a whole kids' station with chicken nuggets, mac and cheese, and hotdogs, in case kids don’t want to try the kalua pig, kalua turkey, or fresh island fish. 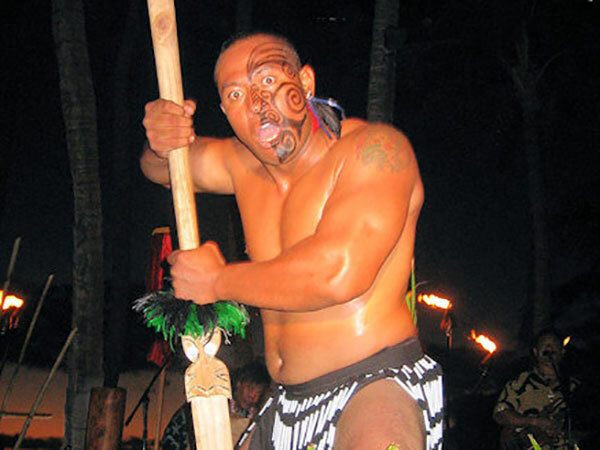 The show runs every night so tickets are easier to get than many of the other luaus. Though they don’t offer any side activities like Lei making, you can get your family luau portrait taken. If you’d ever imagine teenagers being excited about a luau, this is the one. The crowd is mostly families with kids, but unlike other luaus, teens will actually have fun mingling here. It’s a big production with a large audience of 700 people seated at long shared tables. 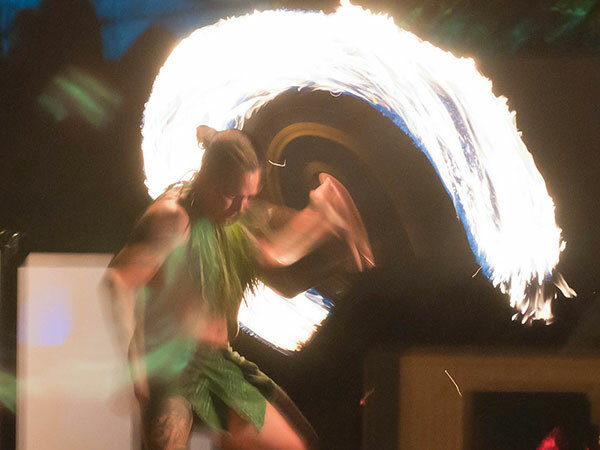 Although it’s not set in front of the ocean, the show is still quite a spectacle with excellent hula dancing and Samoan fire knife dancing. The Feast at Lele is Maui’s most upscale luau. It makes for the perfect romantic date in front of the ocean. The food here is so good that Travel & Leisure called it the “most fabulous cooking on Maui.” Unlike almost every other luau on the island, Lele’s features a four-course meal with table service, rather than your typical buffet. It’s an intimate experience, without the crowds and absolutely no lines. The venue is set right next to the beach so you can watch the sunset over the ocean as you dine. 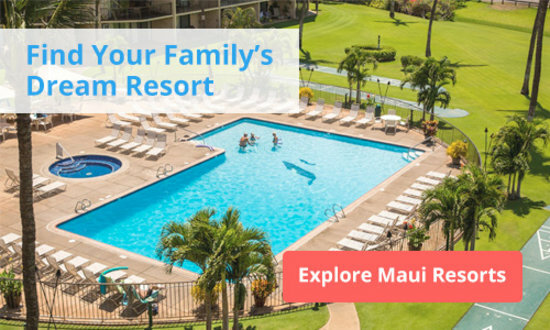 The Westin Maui Luau is also a great option for couples. It’s a smaller audience with seating at individual tables. Located right above the beach it features a colorful sunset backdrop. Not quite as expensive as Lele’s, this might be a great alternative for a romantic date with a show. 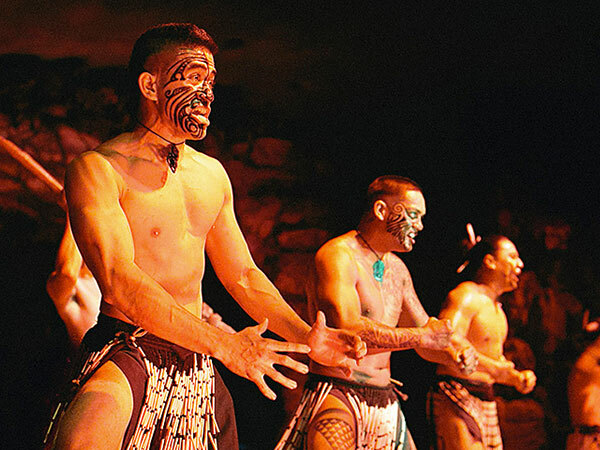 The Grand Wailea Luau takes the performance to the next level, throwing in Cirque du Soleil-style acrobatics that make for an innovative take on the traditional luau. 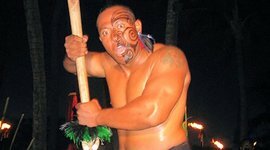 The grand finale culminates in a carefully choreographed act with five Samoan fire knife dancers. The venue is about half the size of most Ka’anapali luaus, so it’s great if you’re looking for something a little less crowded. You also get a nice view of Molokini crater in the distance.